Sorry I haven’t posted so long, but this time I decided instead of making up a bunch of excuses (the holidays…), I’d just make up for it by adding something new! And that happened to turn out to be Book of the Month. Anyway, the book of this month is Little Women. 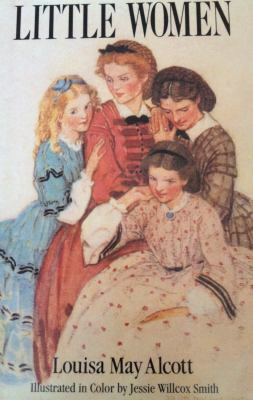 A classic novel about four sisters growing up together (and sometimes apart) from girls to women and wives, this is a great book with romance, excitement and drama. That plot sounds familiar…but not sure I have the right name. Is it Cam Jansen? Oh, and Little Women is one of my all time favorite books! I’m pretty sure you read it before, but its not Cam Jansen. Wait! Its Harriet the Spy! BING! BING! BING! We have a winner!